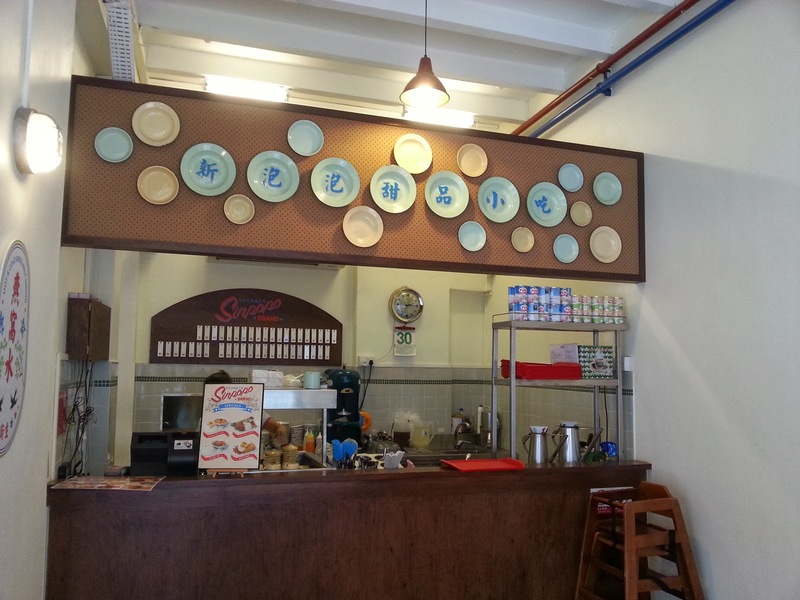 Came across this quaint looking place at Joo Chiat and finally decided to walk in and sample the fares. But first something about the place. It was designed to look like a place from the Seventies. 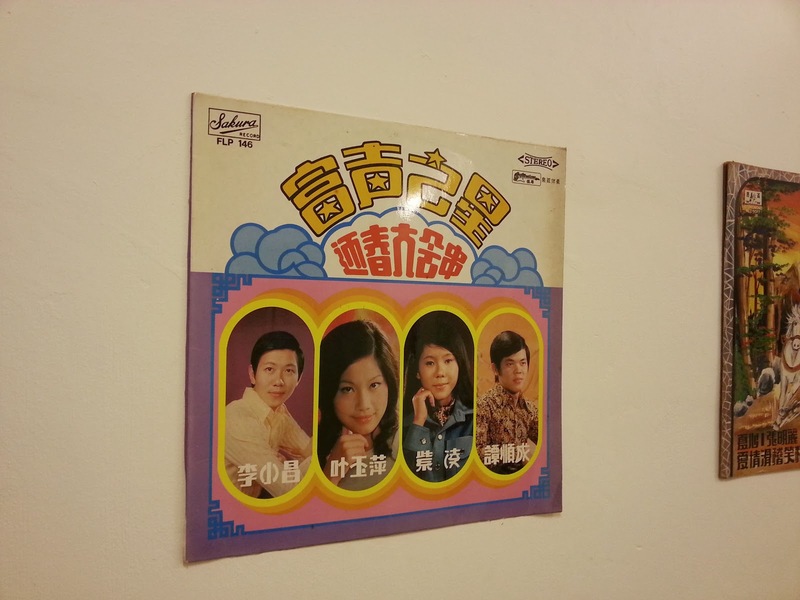 Even the music that was playing were Chinese music from that era. 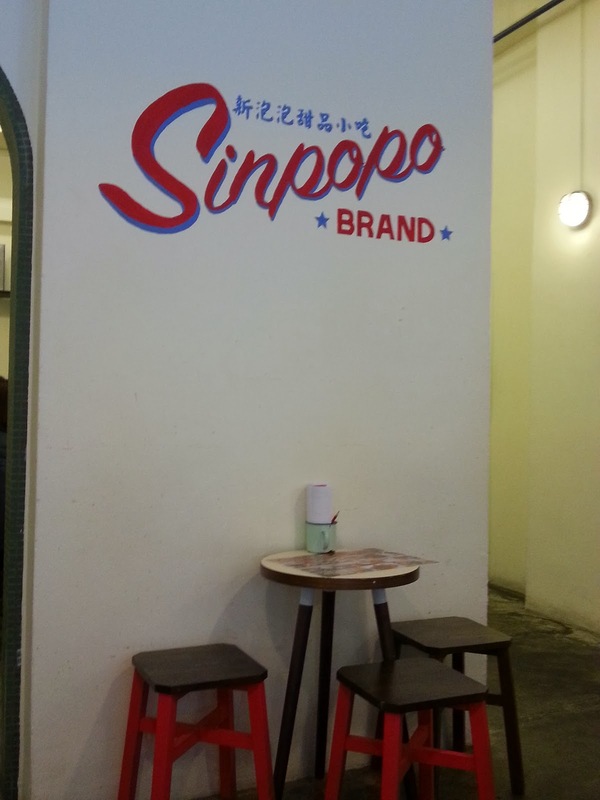 Incidentally, the name Sinpopo if my memory serves me correctly is more well known in Geylang than Joo Chiat. 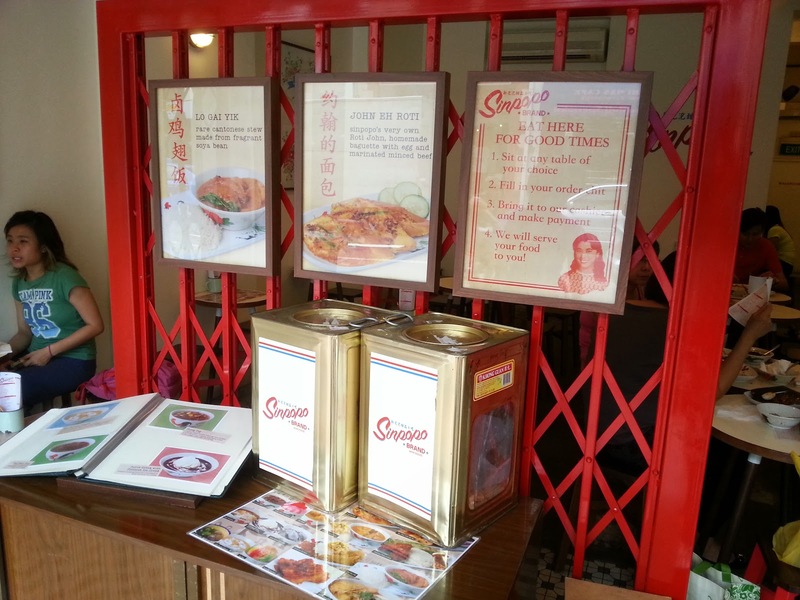 The entrance to the place - there is this display of the menu, some biscuit tins. But it reminded me more of a shrine than a diner. This is the cashier area. Looks like a road side stall from the Seventies. Now we come to the food. 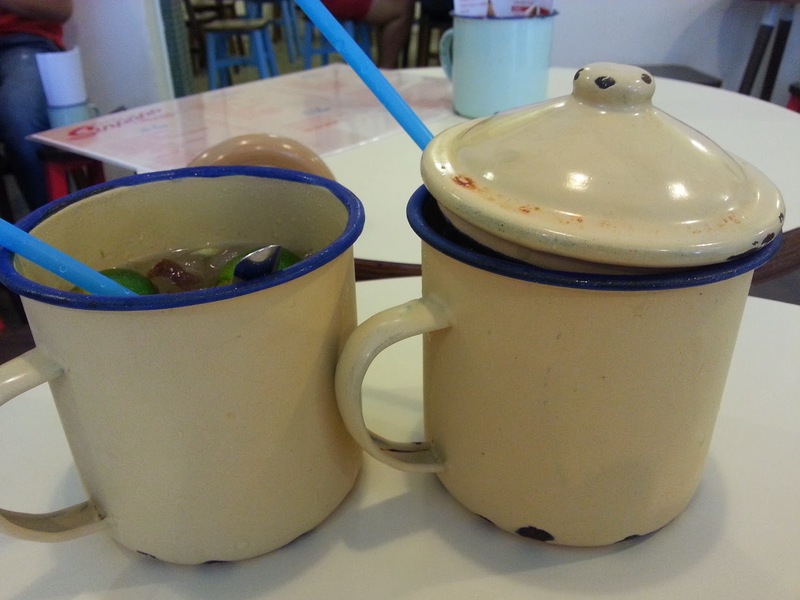 The drinks are served in these old traditional metal can cup. 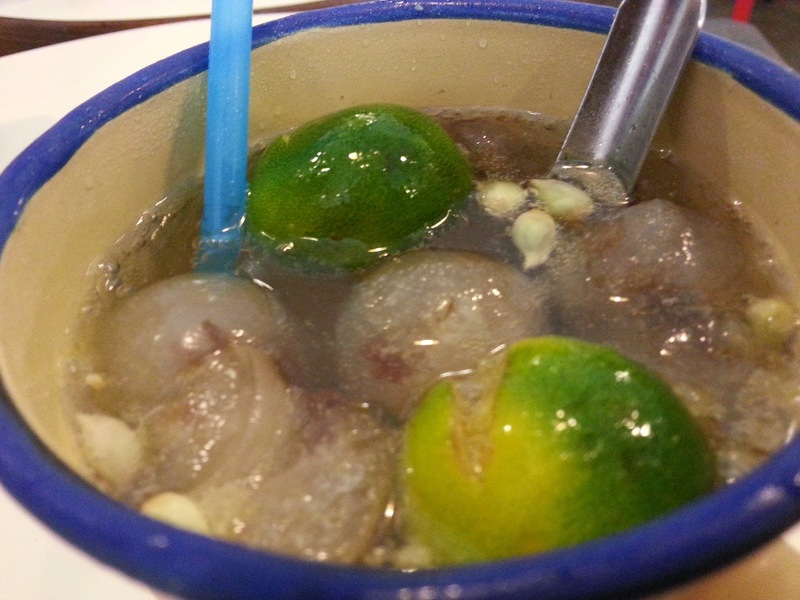 My favourite was the sng buay pop. 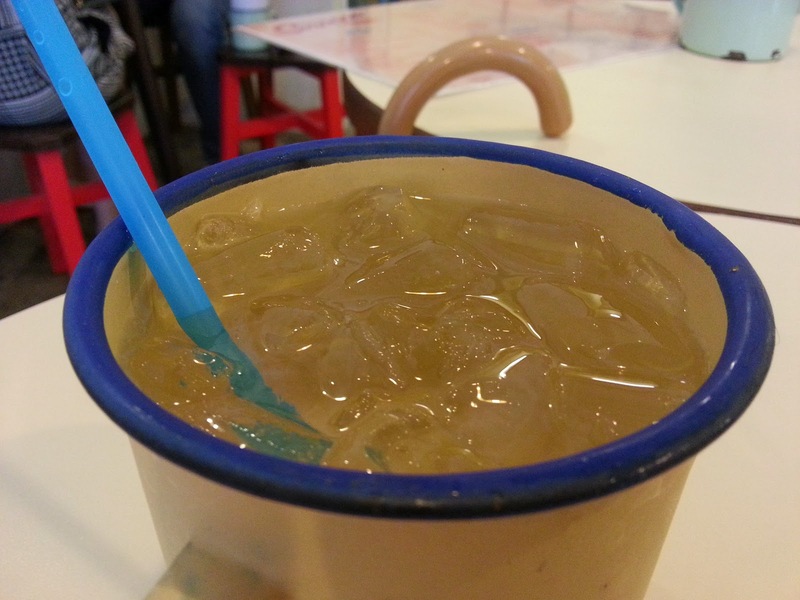 Actually it was lime juice with the frozen juice moulded into a ball. This was shiok. I can imagine how good it will be on a hot day trickling down the throat. But the food was a bit more disappointing. At $8.90 per item, it didn't come cheap. 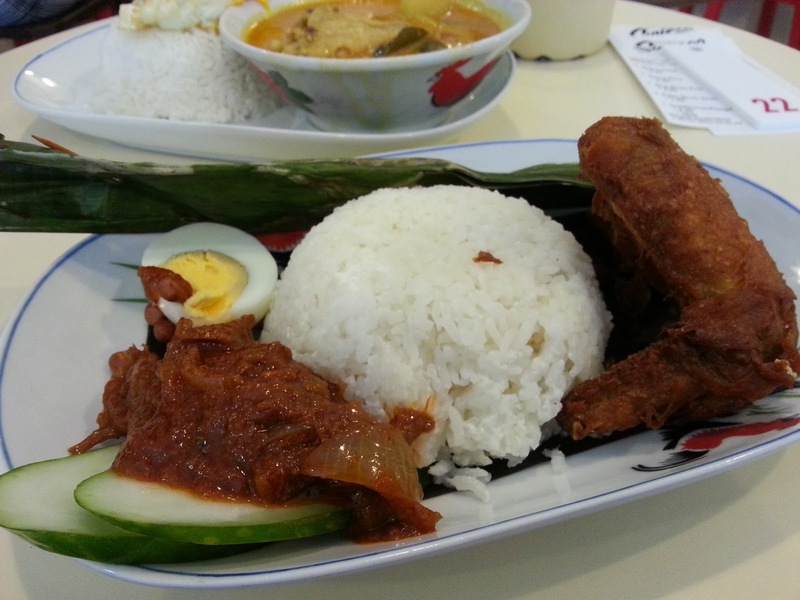 The nasi lemak we ordered had the usual rice, half a hard boiled egg, some sambal ikan bilis and peanut and a chicken wing. 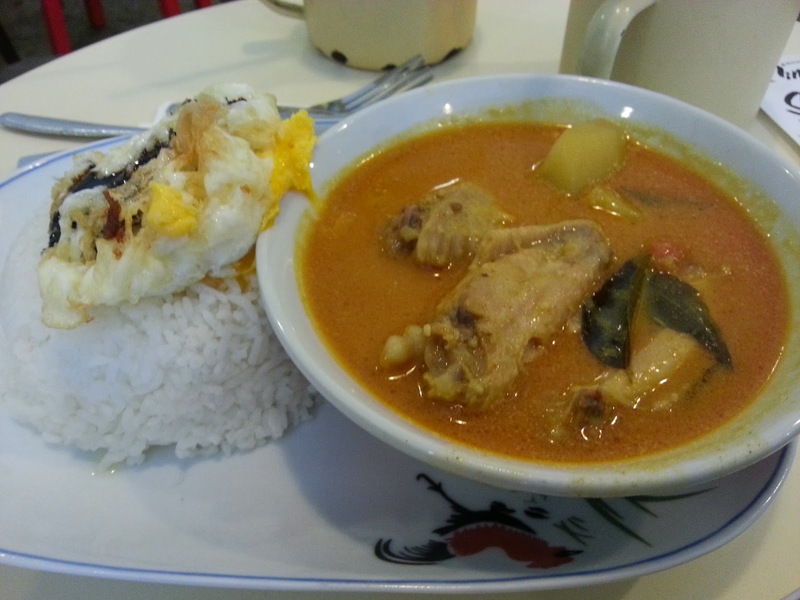 The curry chicken was too thin. And certainly not spicy enough. But at least there was at least 5 pieces of wing joint. 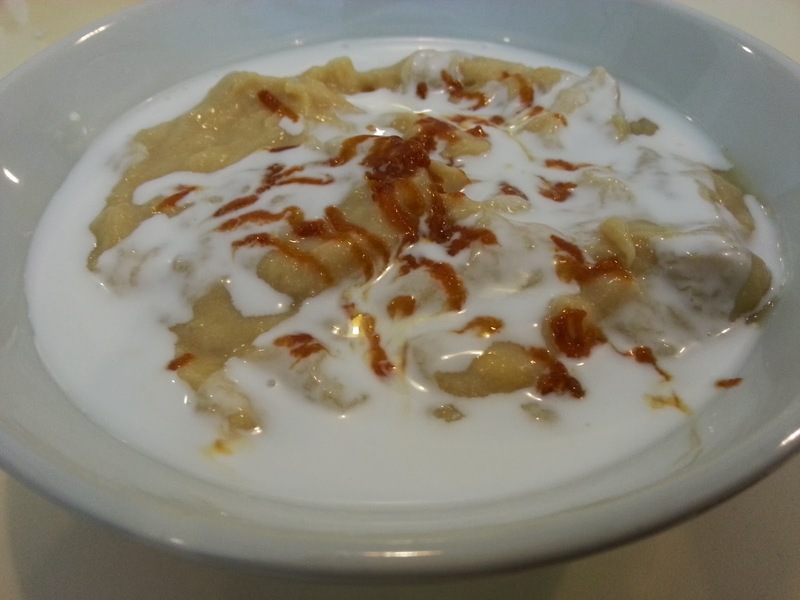 We decided to try the Durian Pengat but the combo of coconut and durian didn't go well. 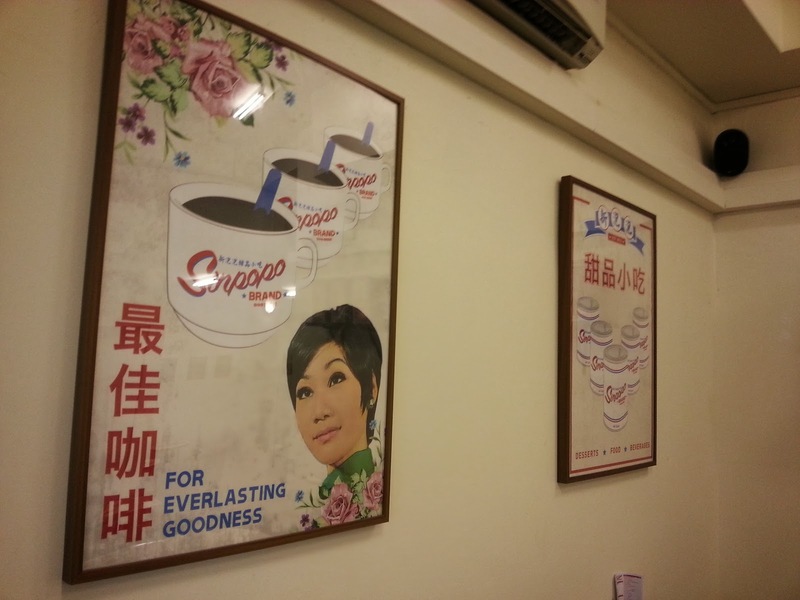 While I enjoyed the visit to the place and the trip down memory lane, the limited menu, the high price for basic local food and the so so food means that I won't be returning any time soon. But for those who yearn for a look back in time, this is as close as it can get.